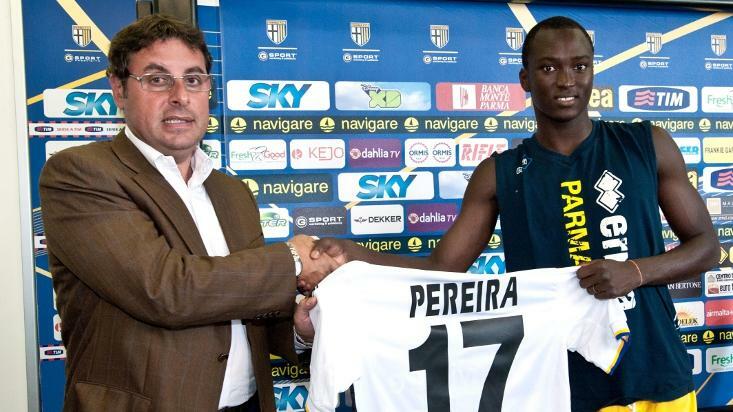 Portuguese starlet Danilo Pereira was unveiled as a Parma player today during a press conference. He will be given the number 17. Pereira spoke of the ambition the club has and how it is a “good” club. He also spoke of his ambition to grow as a player at Parma, which he feels confident that he can do. He spoke of the Italian style of football, saying: “It’s a very tactical football and also very physical, so I think I can adapt well, because I have the right characteristics to adapt to this type of game.” The press then asked him how he feels about his comparison to former French international Patrick Vieira. He responded saying that he is flattered to be compared to such a player, but he is Danilo Pereira, he will try to prove his worth, and he is happy to be here.